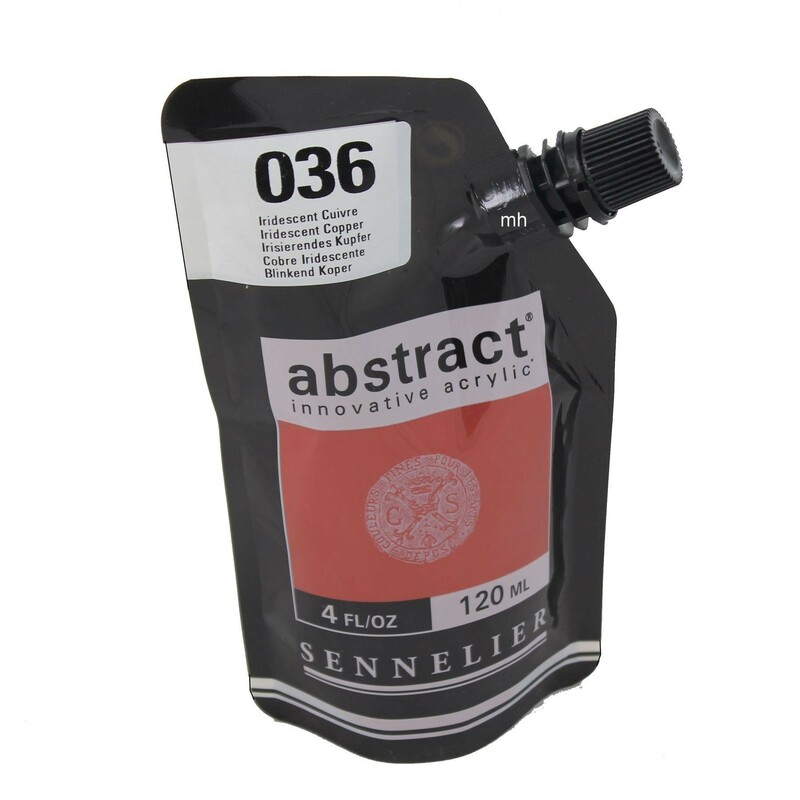 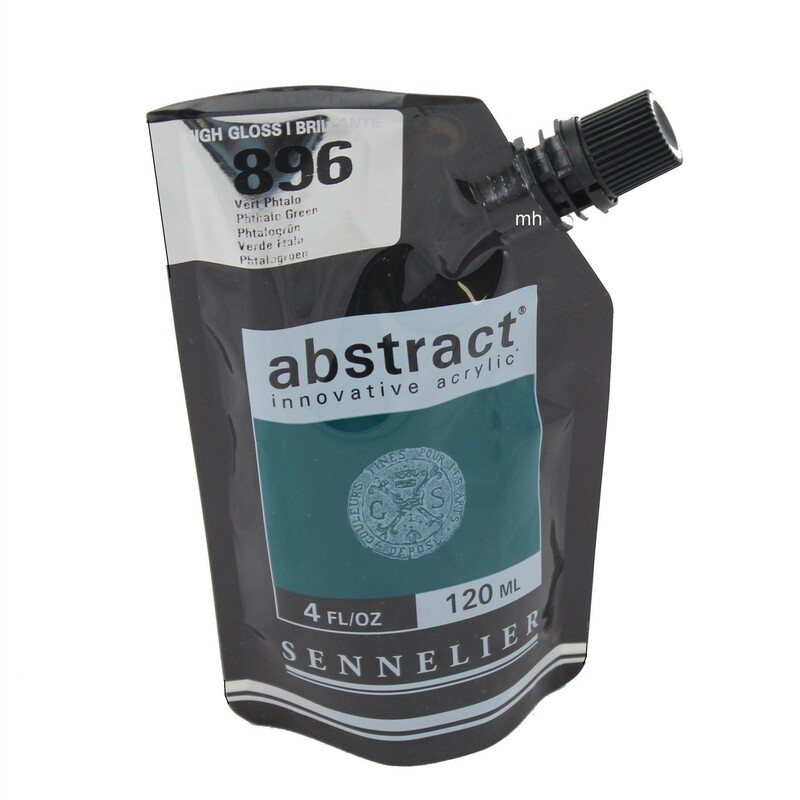 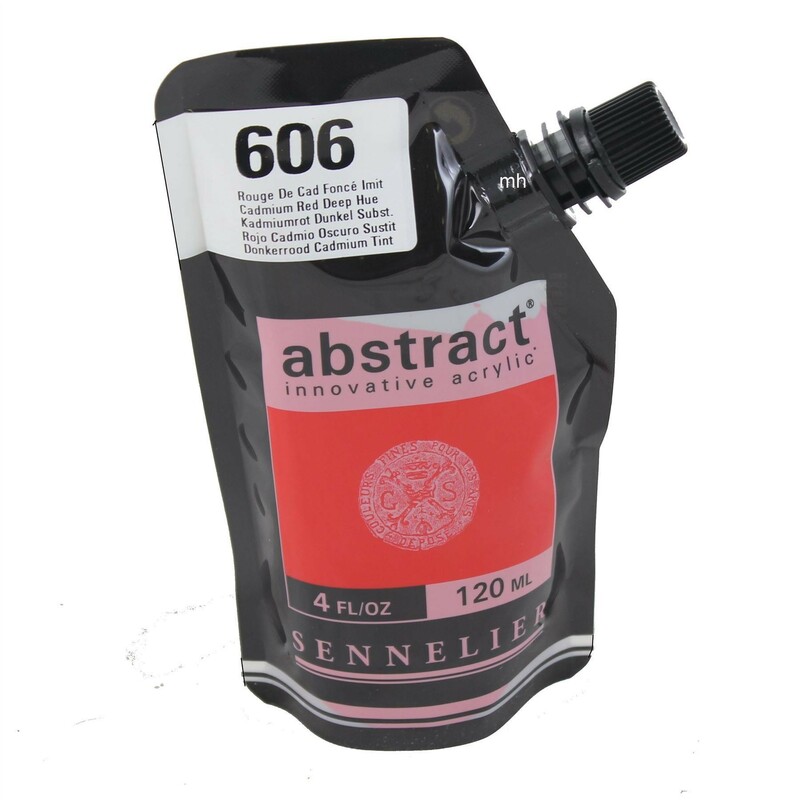 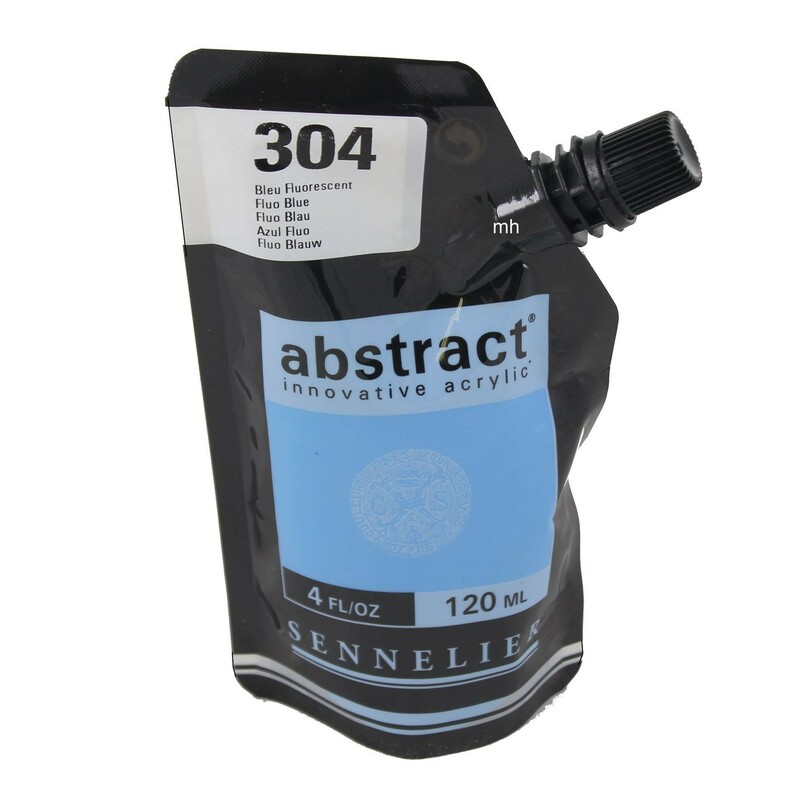 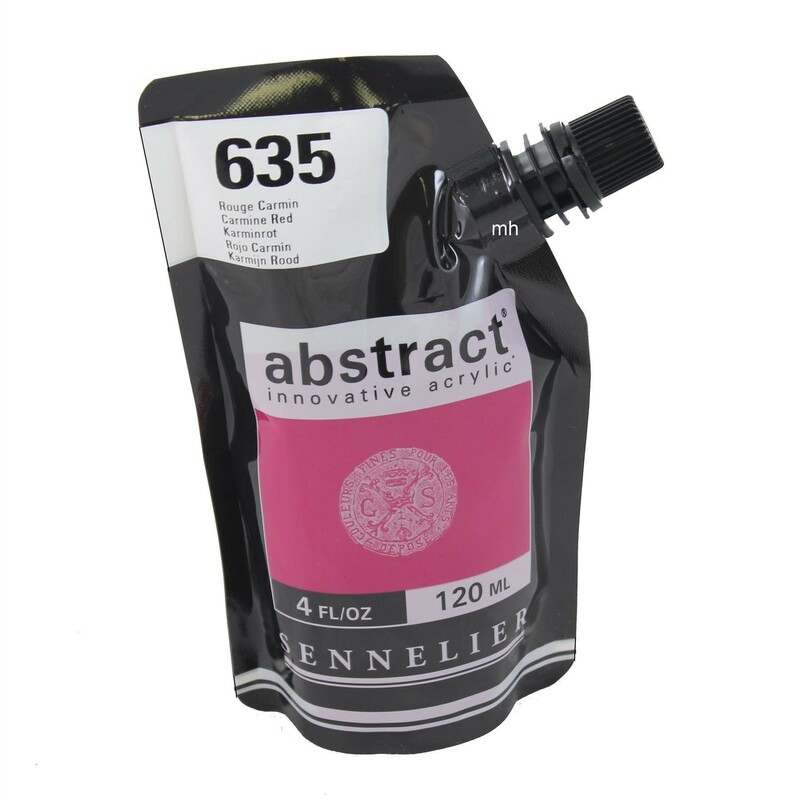 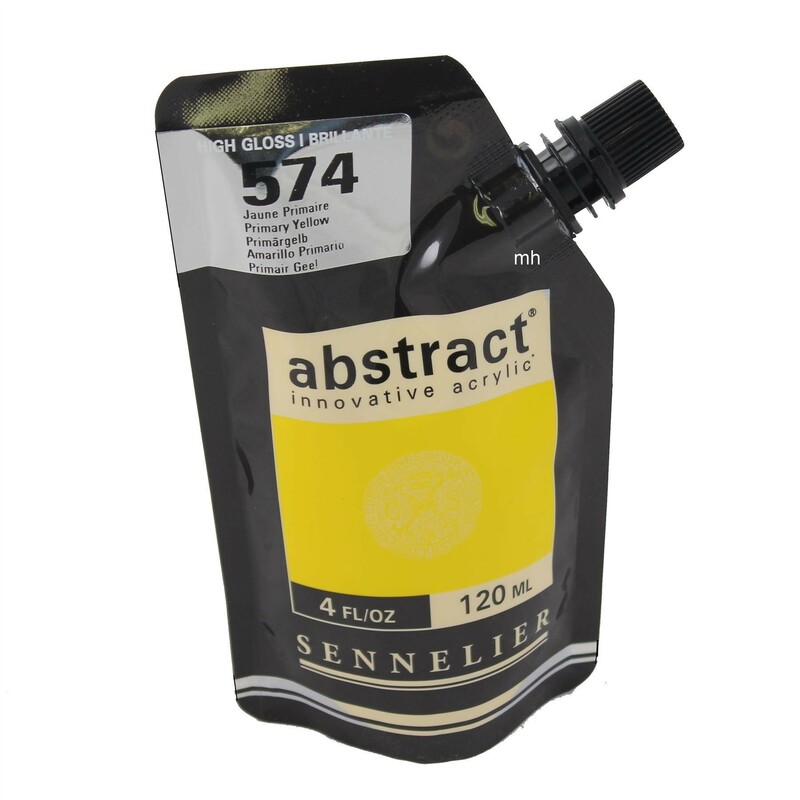 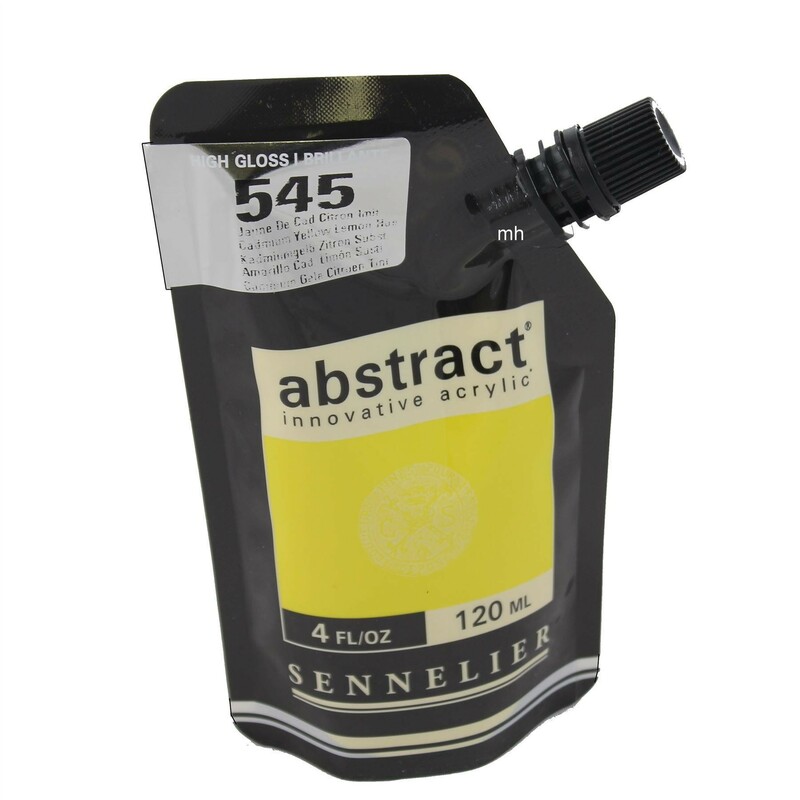 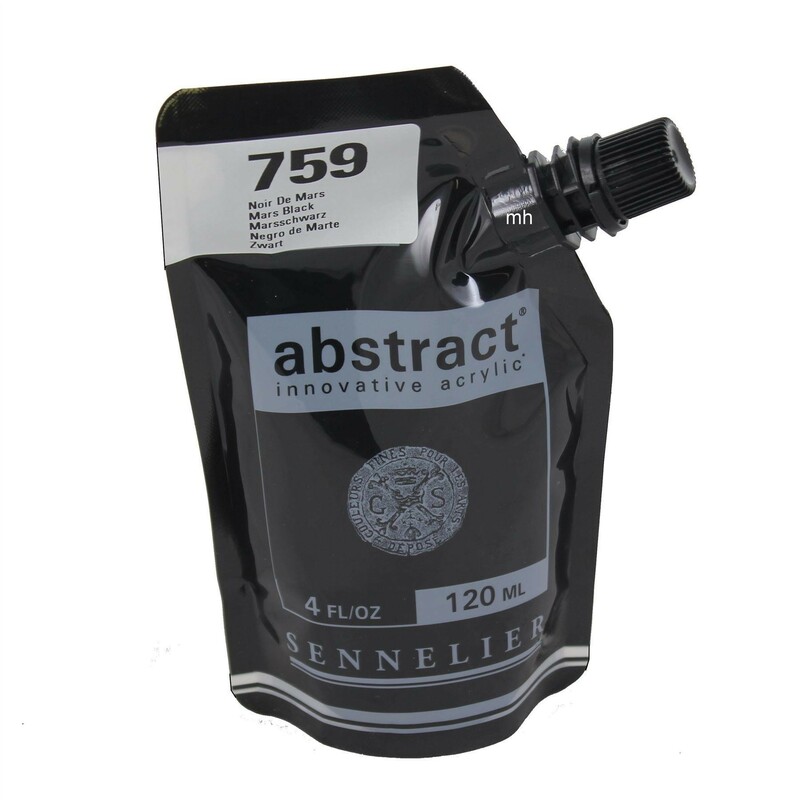 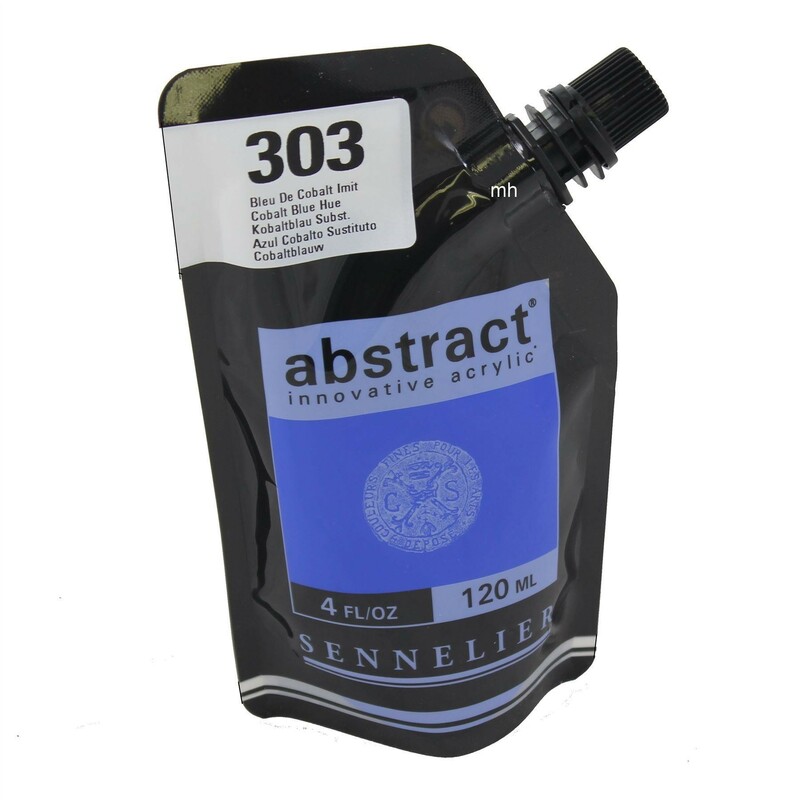 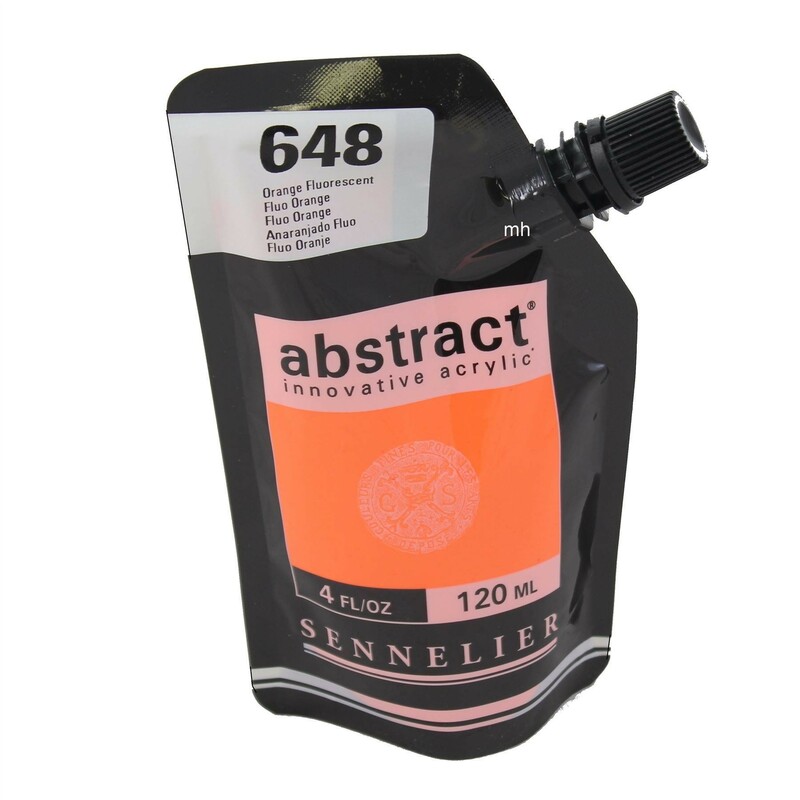 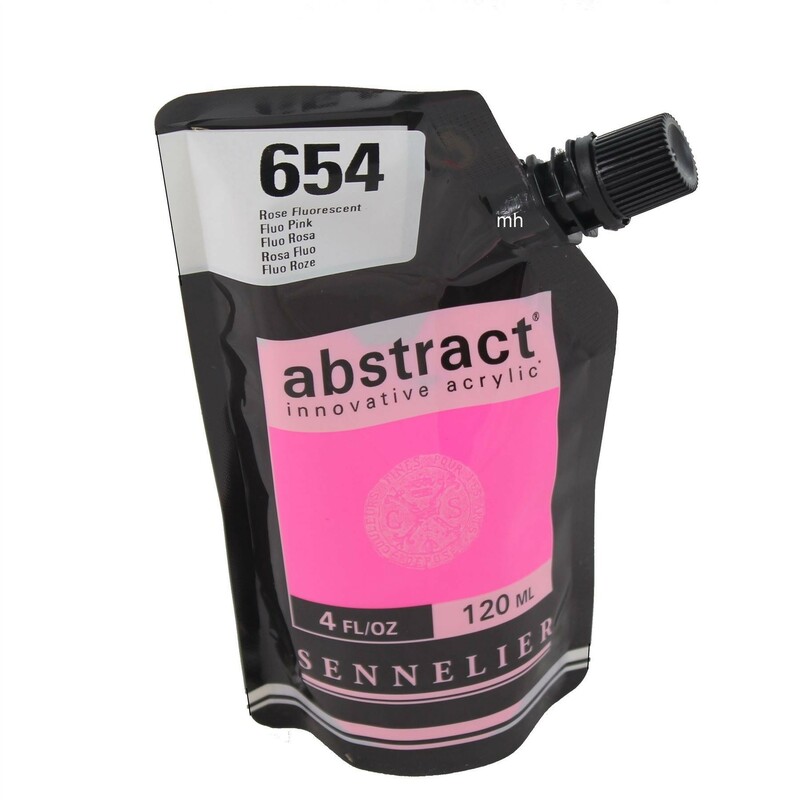 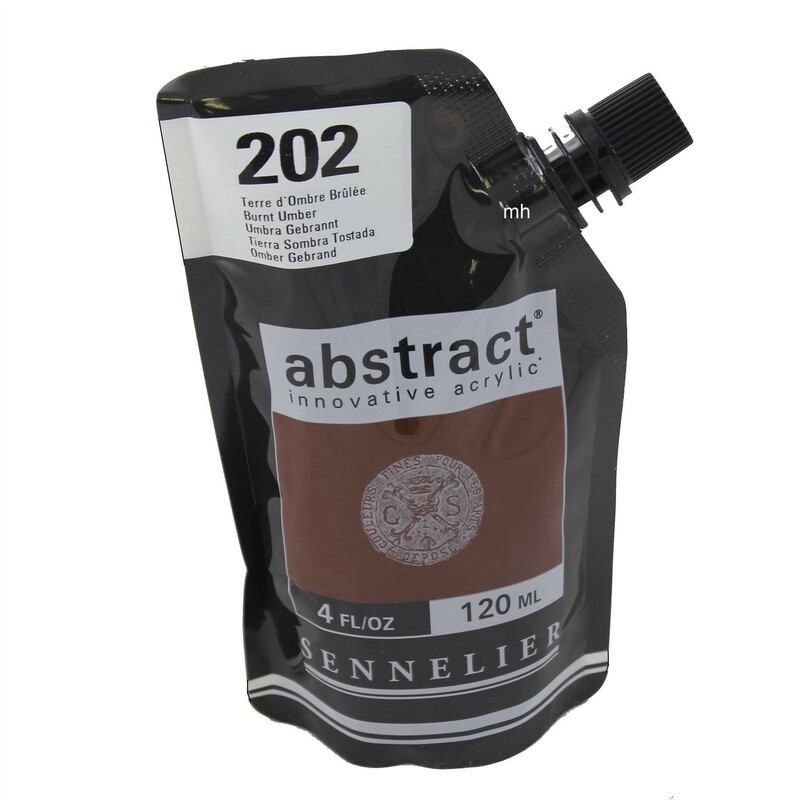 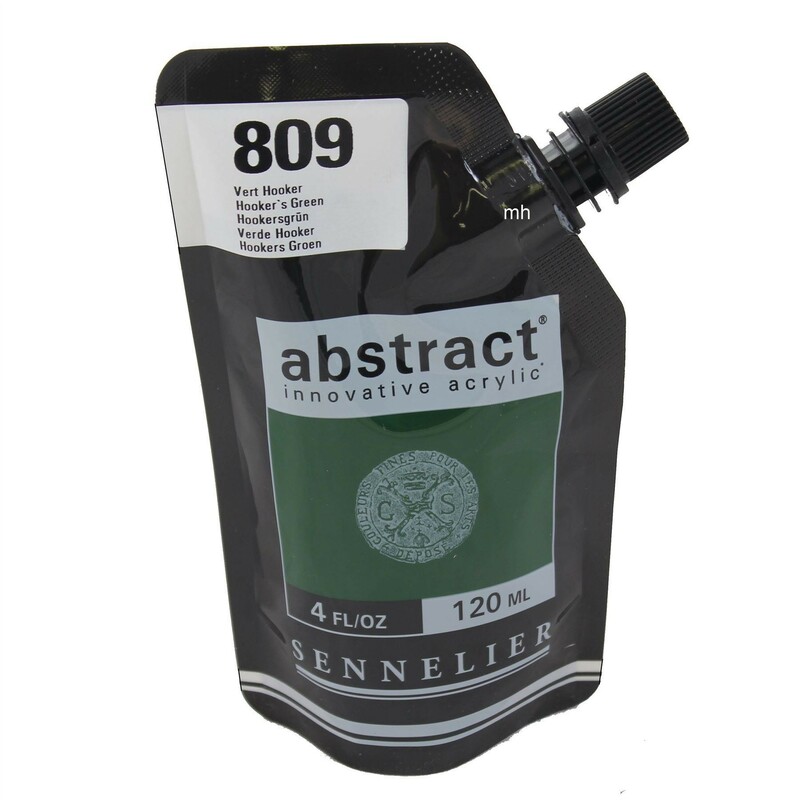 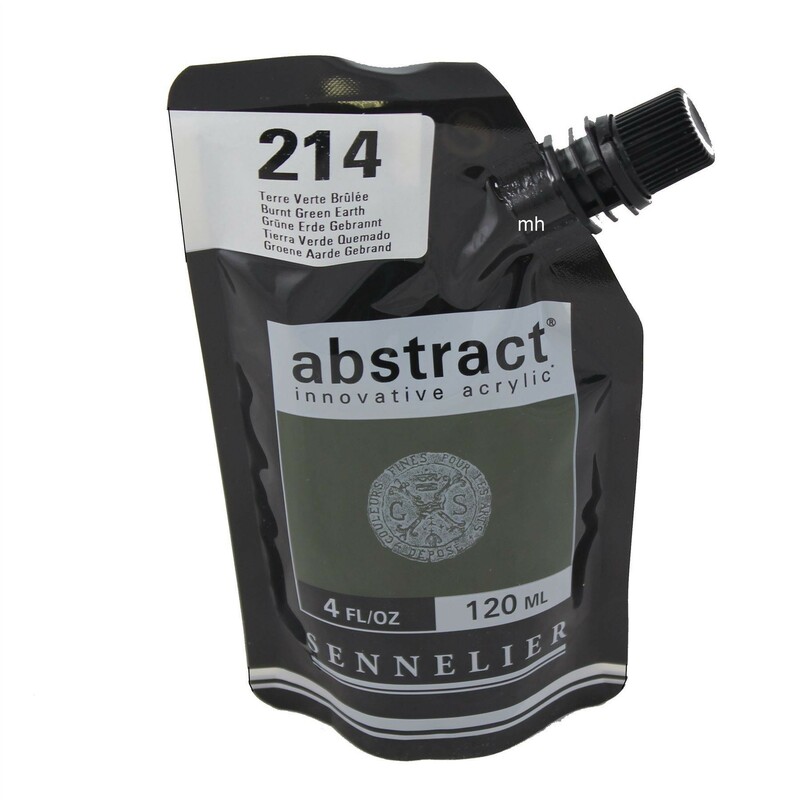 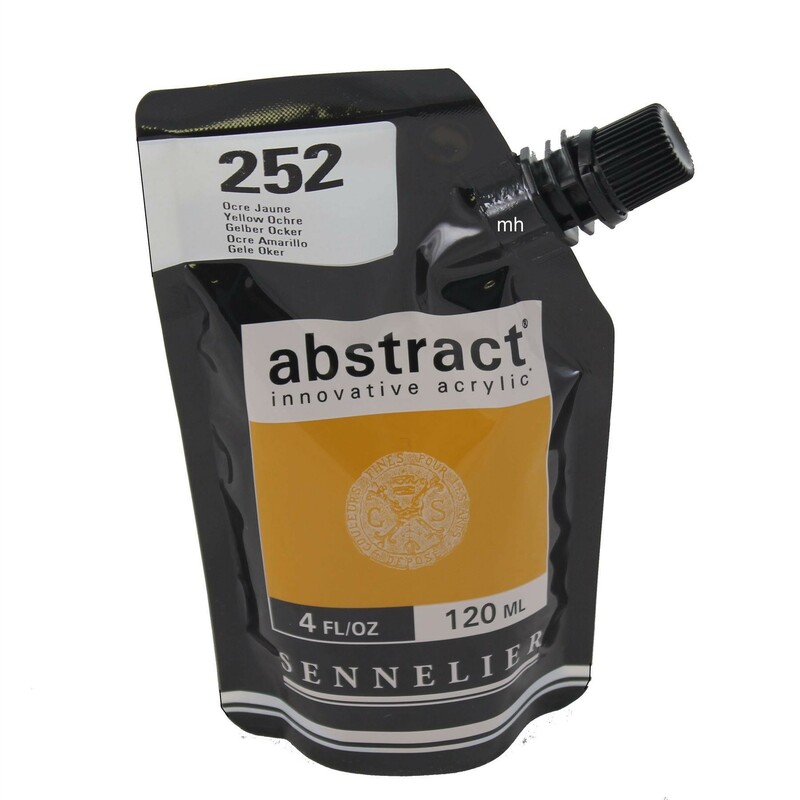 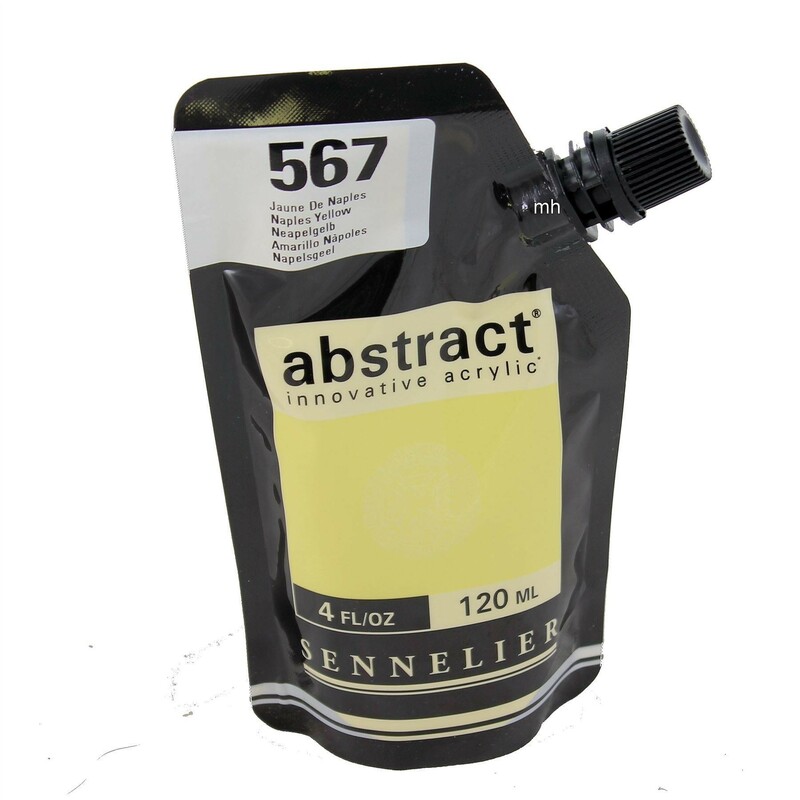 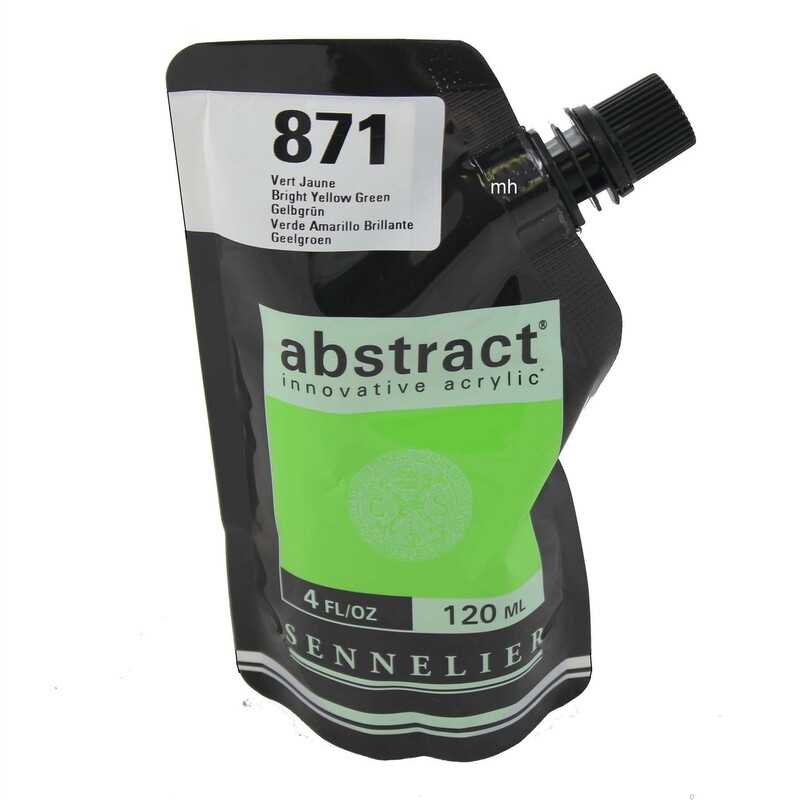 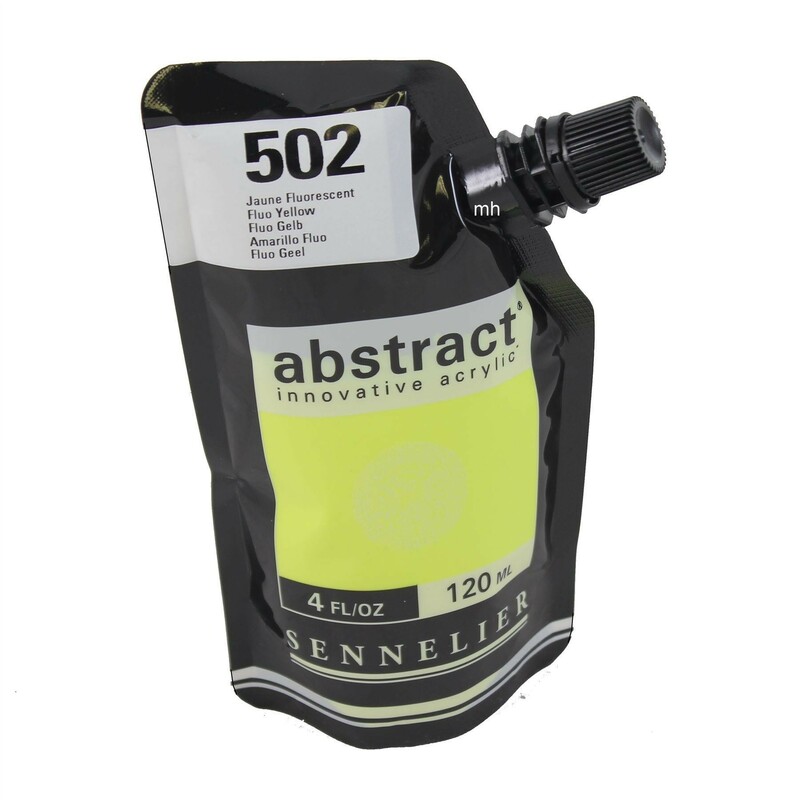 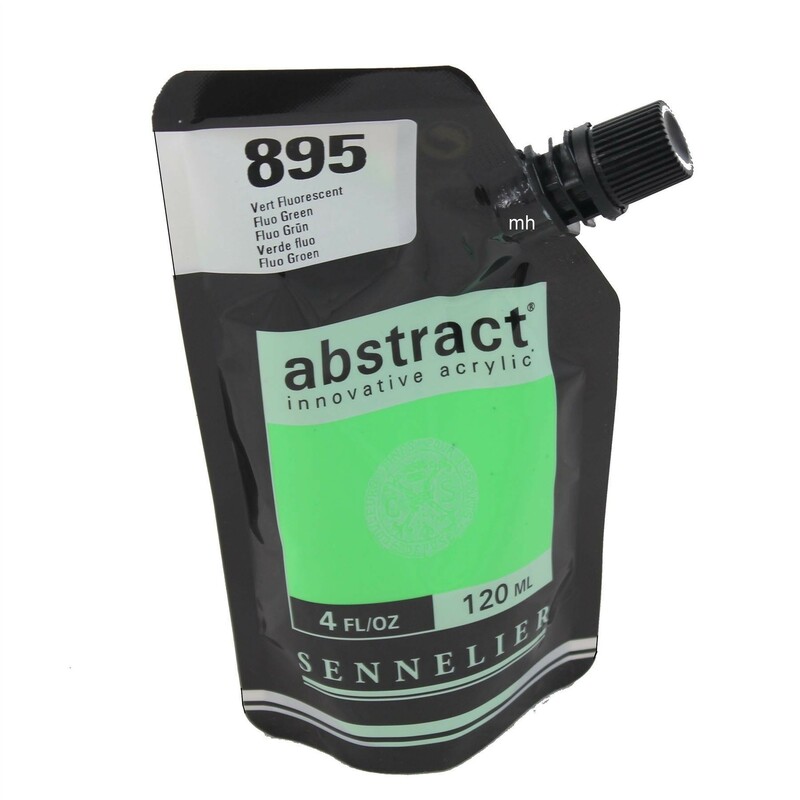 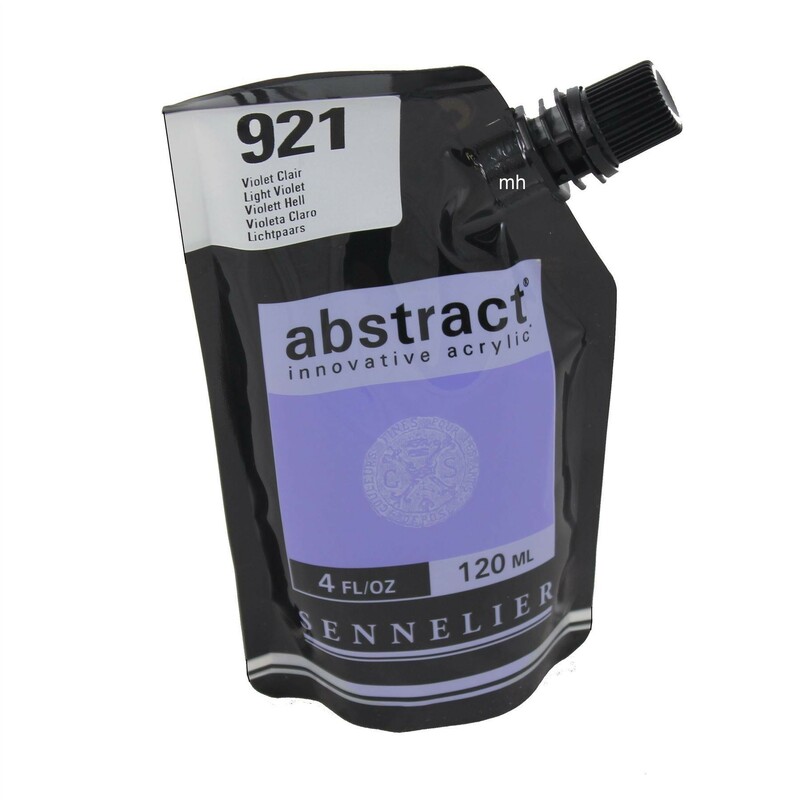 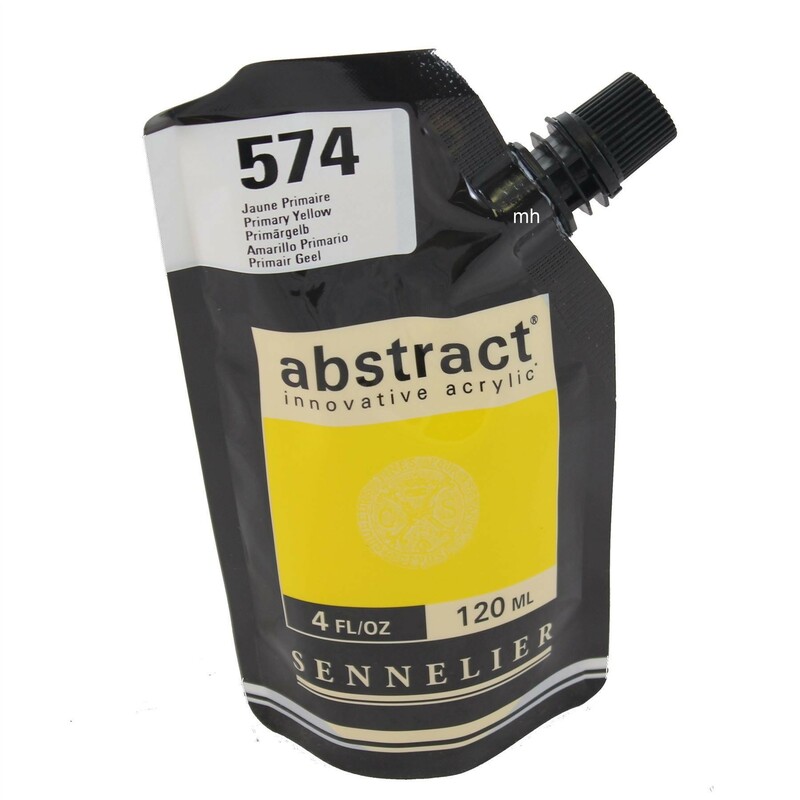 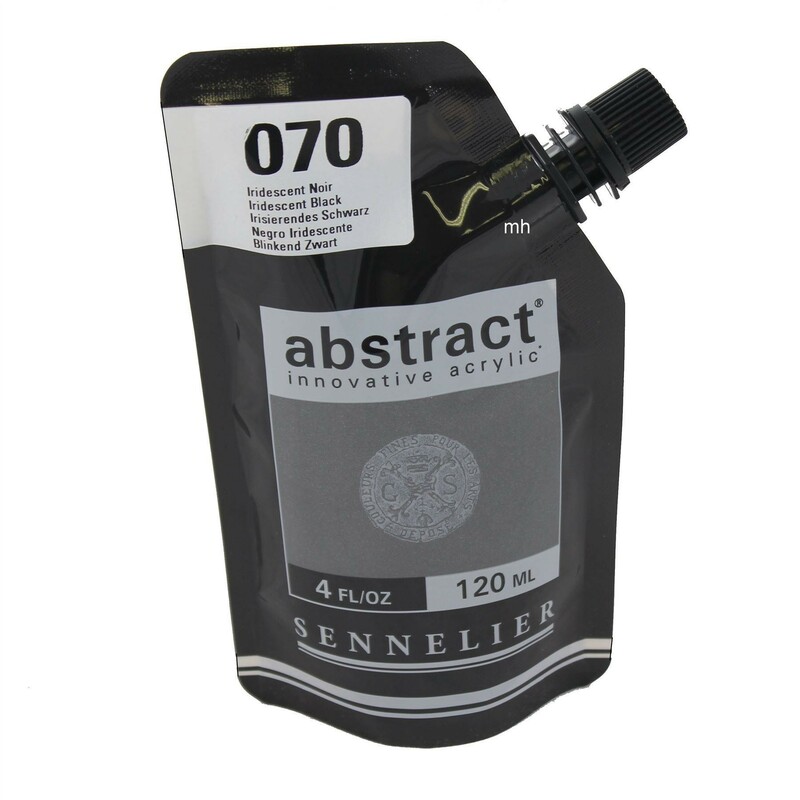 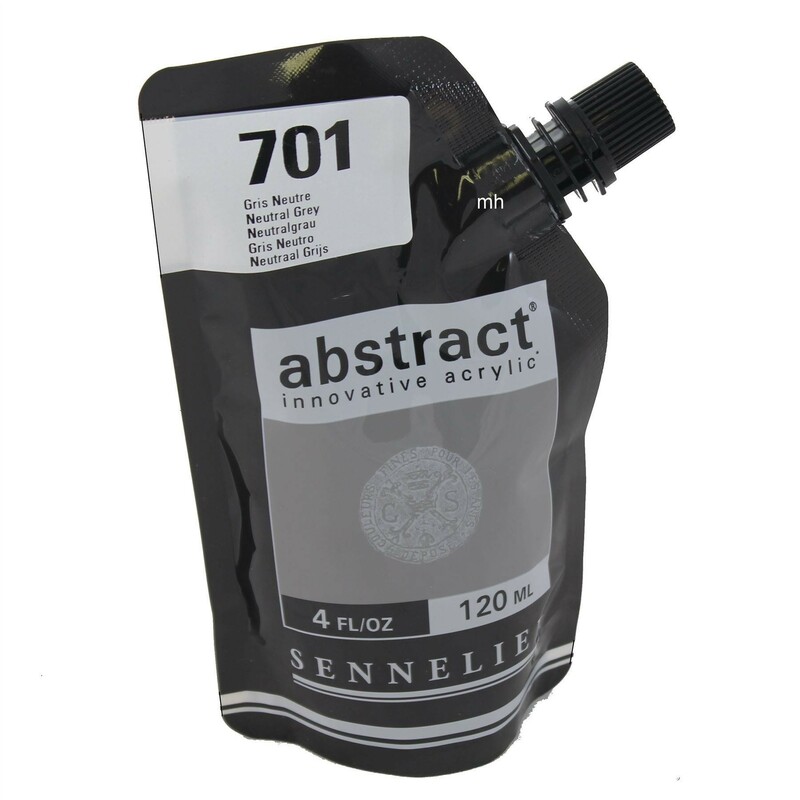 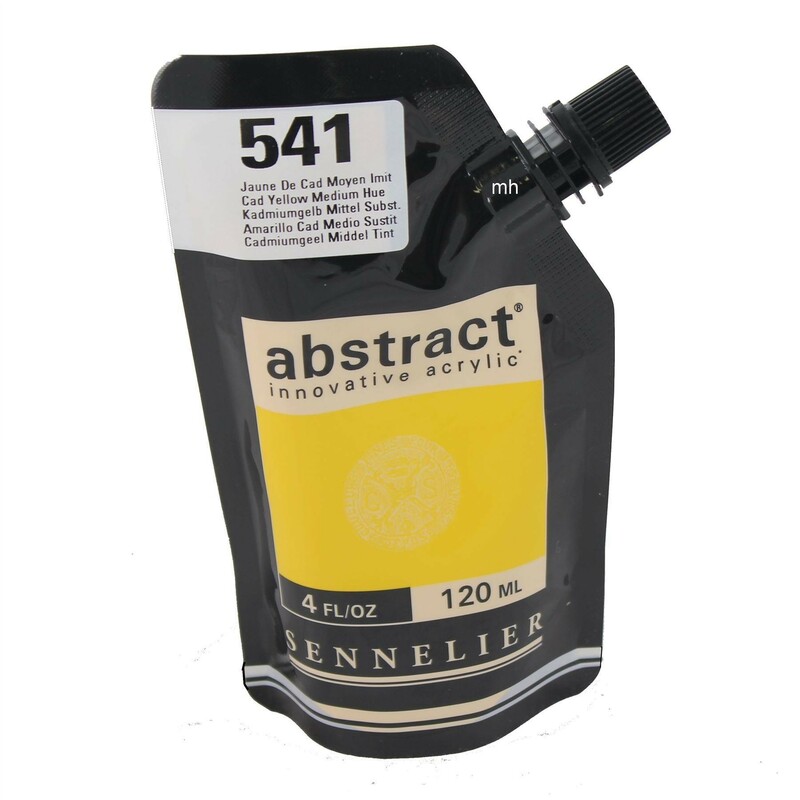 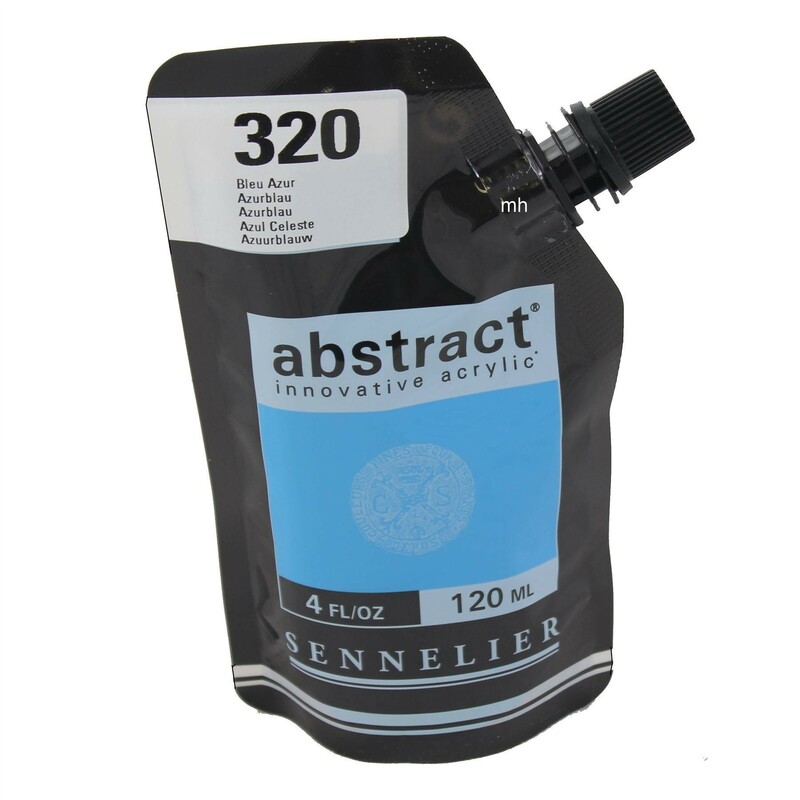 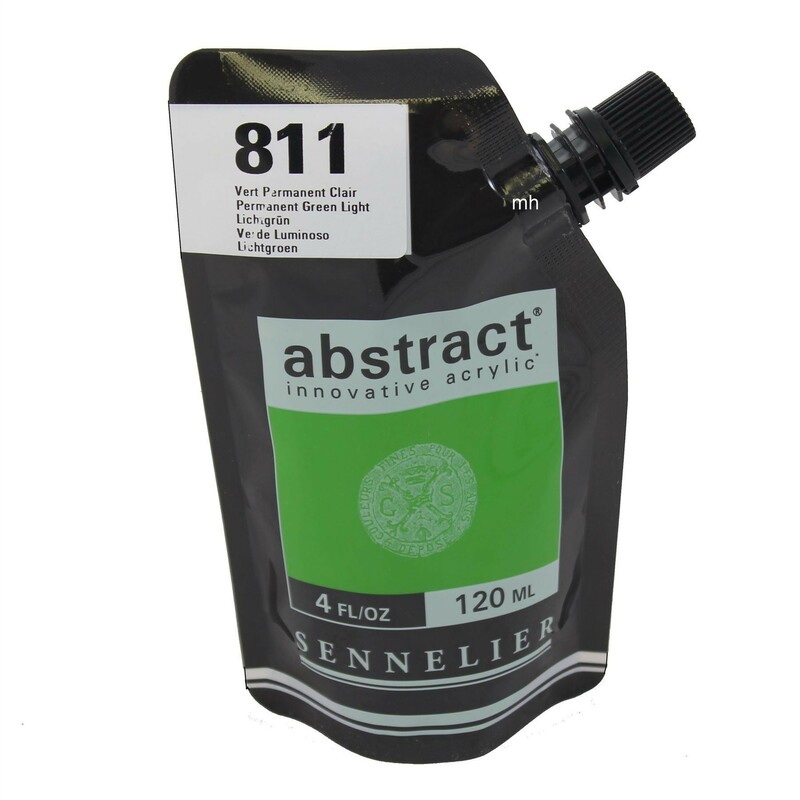 Sennelier Abstract innovative acrylics 120 mL heavy body multimedia acrylic paint. We offer single pots of 120ml in Satin, high gloss, Fluorescent or iridescent (hover over small image above for pot's colour). 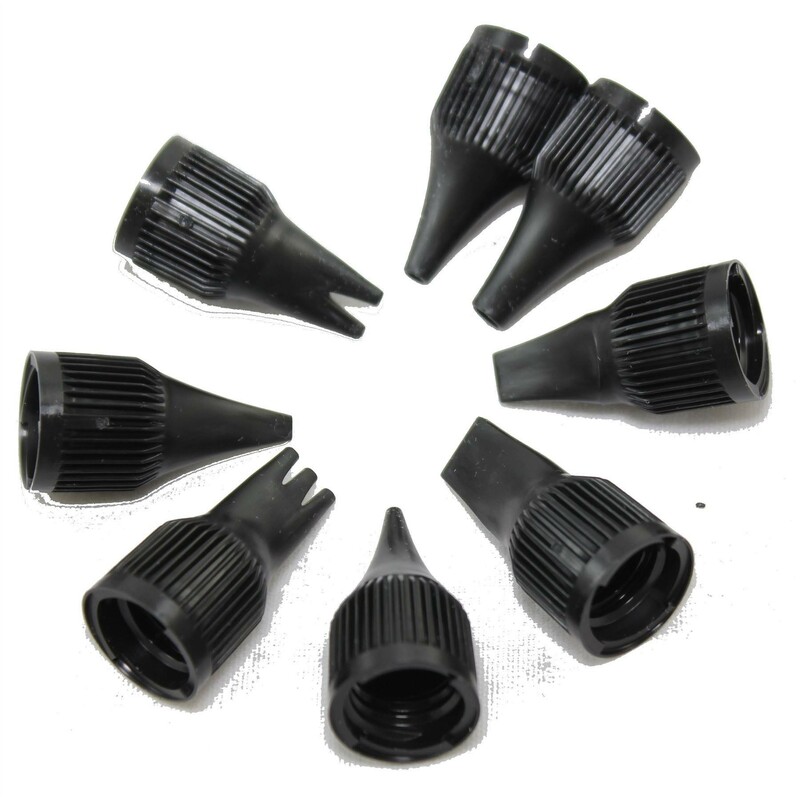 A new pack of 8 nozzles that you simply attach to the top of the paint pot and squeeze to apply paint in different shapes. 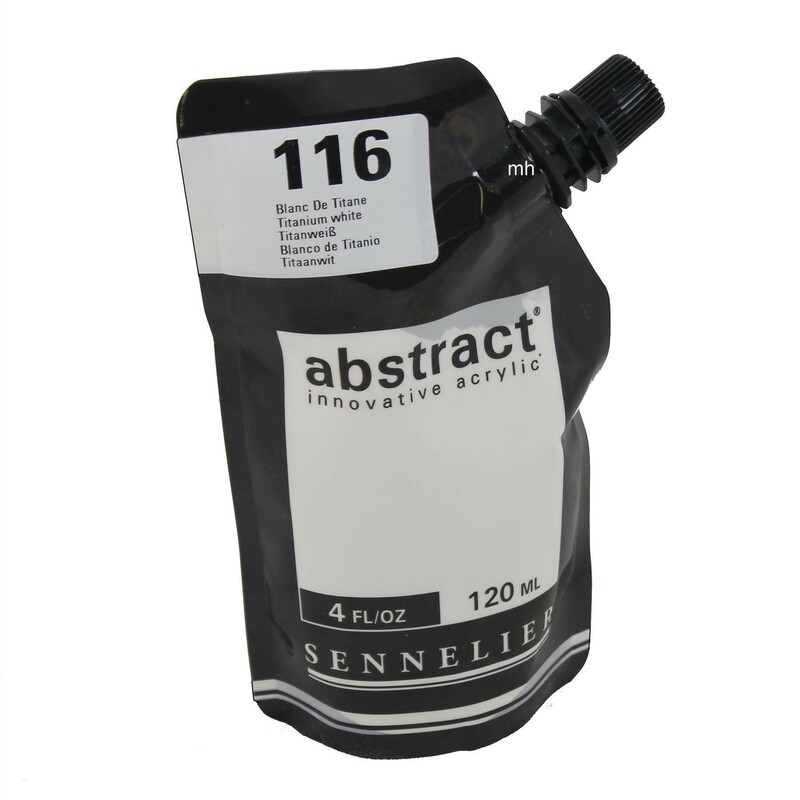 High pigment concentration, ultra-transparent, ultra-strong pouch, waste-free: use every last bit of paint, made by Sennelier France. Sennelier has been a byword for quality among artists since 1887. Sennelier is innovating once again by launching the first range of acrylic paints for artists in a brand-new style packaging. 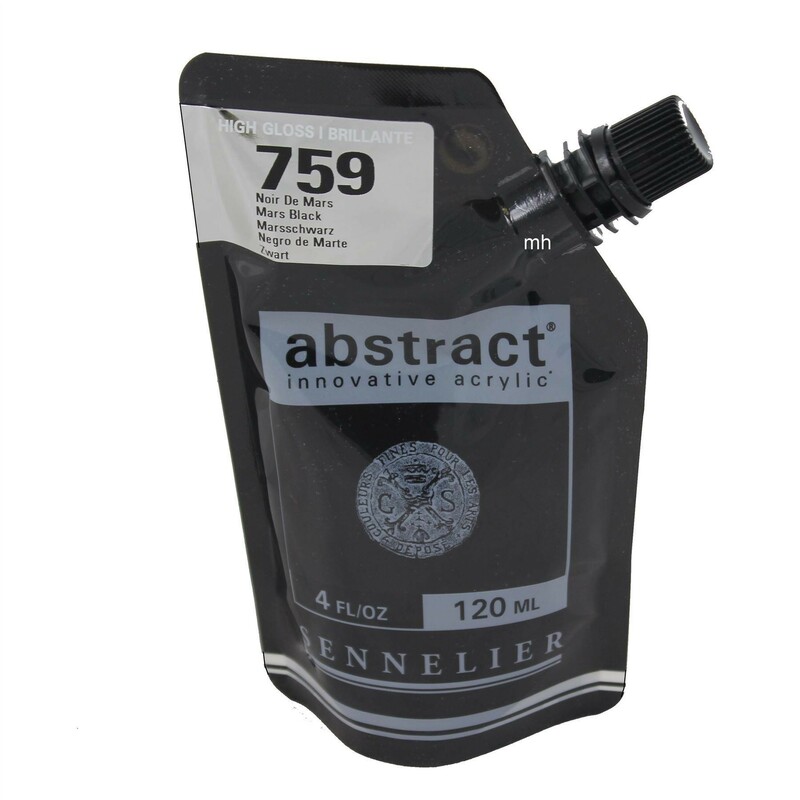 It is innovative in shape, elegant, handy and feels right. 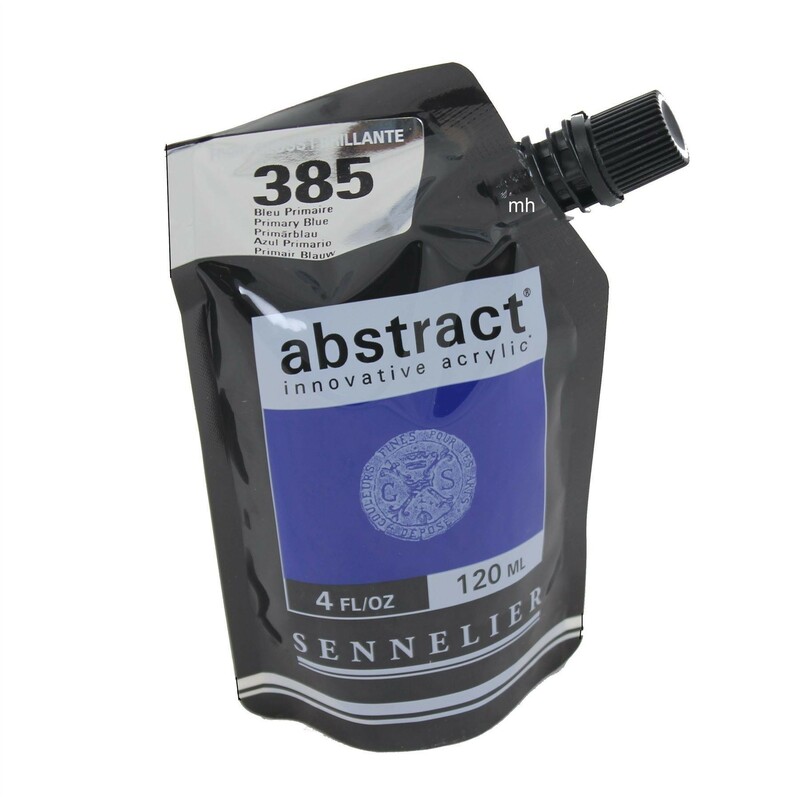 Abstracts is a result of three years of research by the Sennelier expert Lab team. It is a fine acrylic paint which meets all the stringent quality demands that are a guarantee of Sennelier paints. 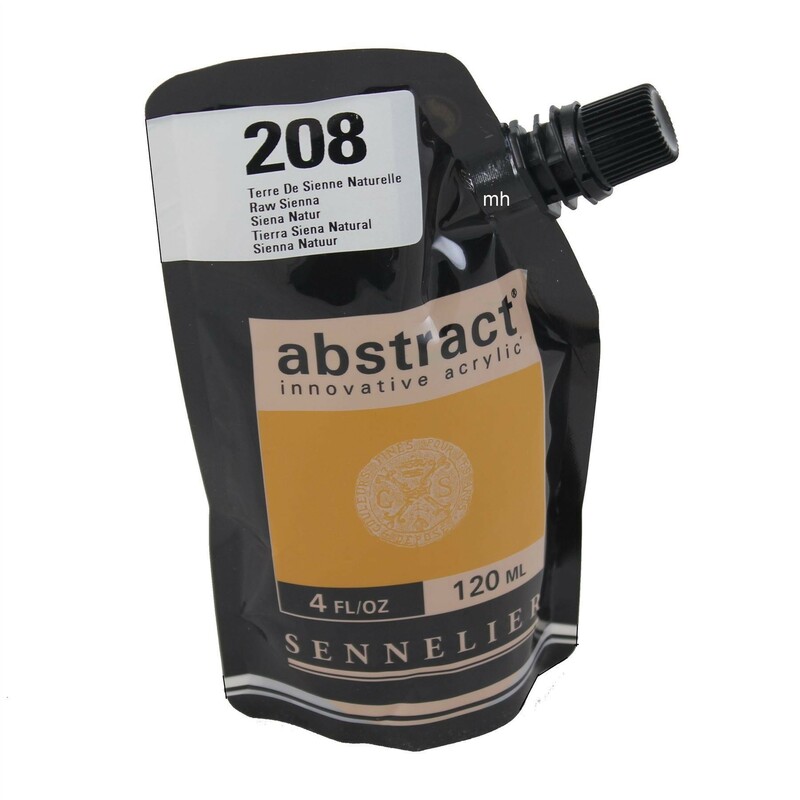 Its pigment concentration is quite amazing for this segment of the market and has a creamy toothpick consistency which Sennelier calls " heavy body". 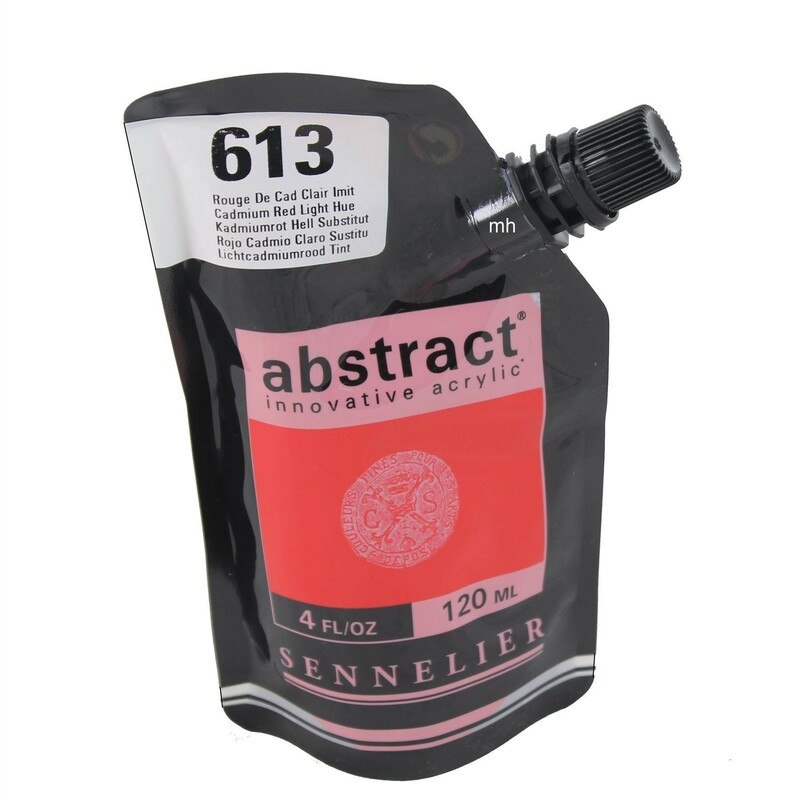 Along with incomparable covering power. 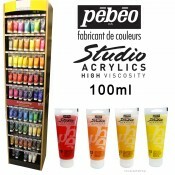 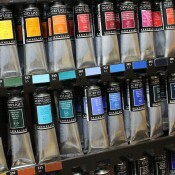 The acrylic paint is a pleasure to handle with a brush, a palette knife or straight out of the soft packet. 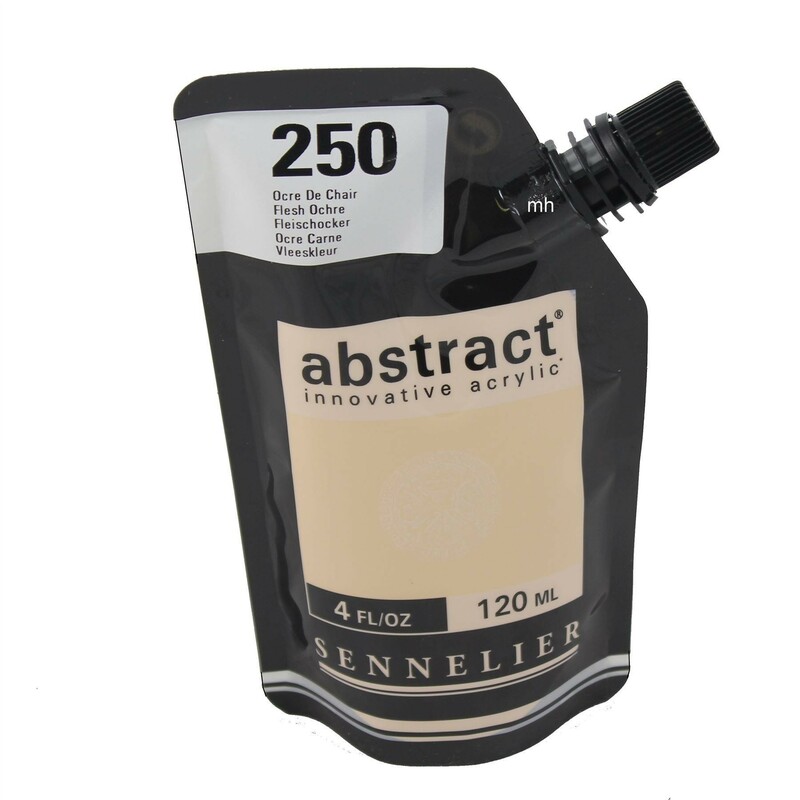 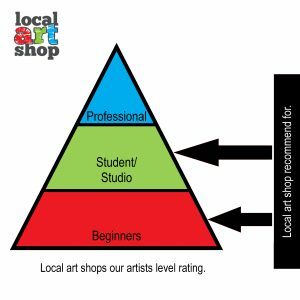 It's ease of application onto multiple surfaces makes it a very popular with students, professional painters, street artists and many more creative people. 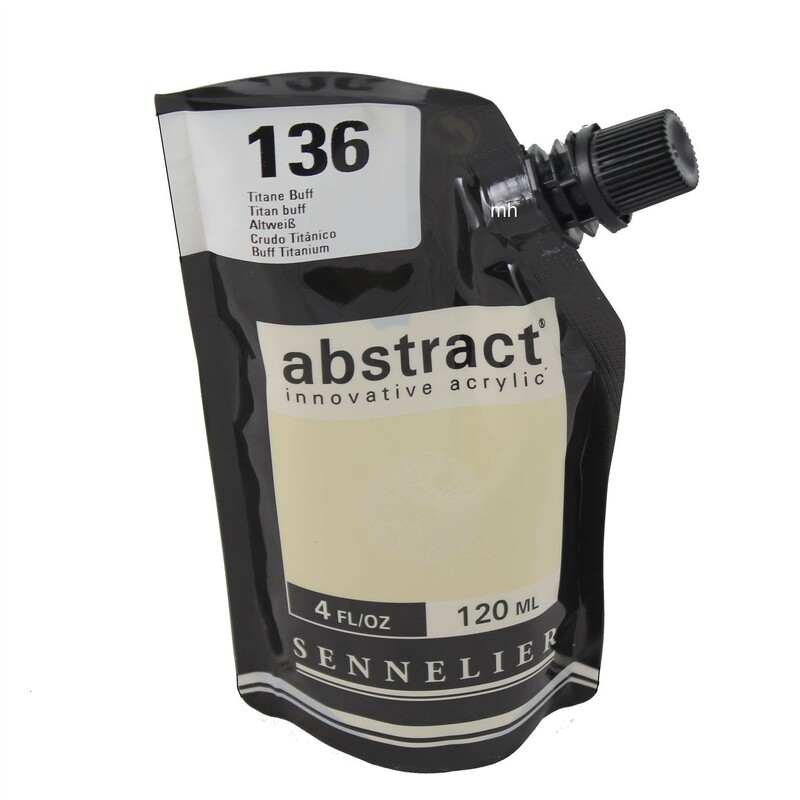 Abstract is composed of 34 single pigment colours amongst the range of 60 shades. 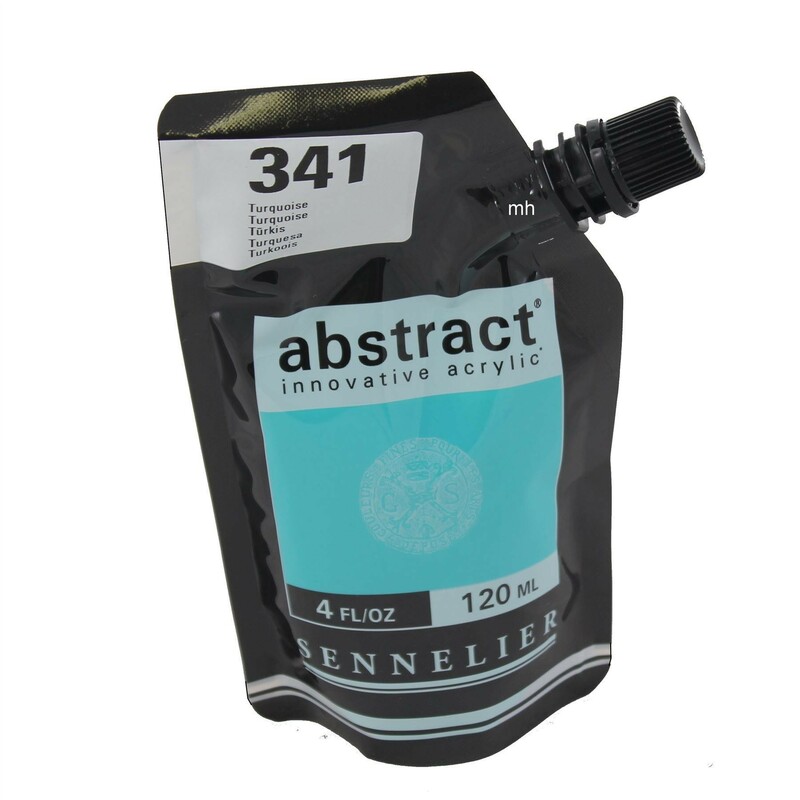 There are 36 Satin finish colours 12 high-gloss colours, six iridescent colours, six fluorescent colours available in120 ml or 500 ml packs. 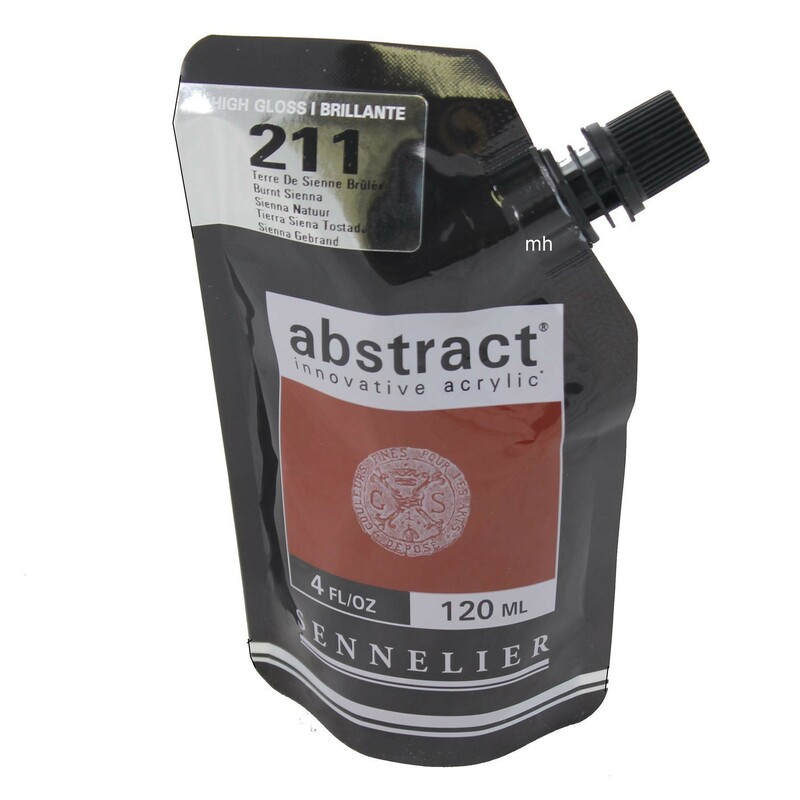 One of the main advantages of this new packaging is it fits comfortably into your hand which is much easier to use. 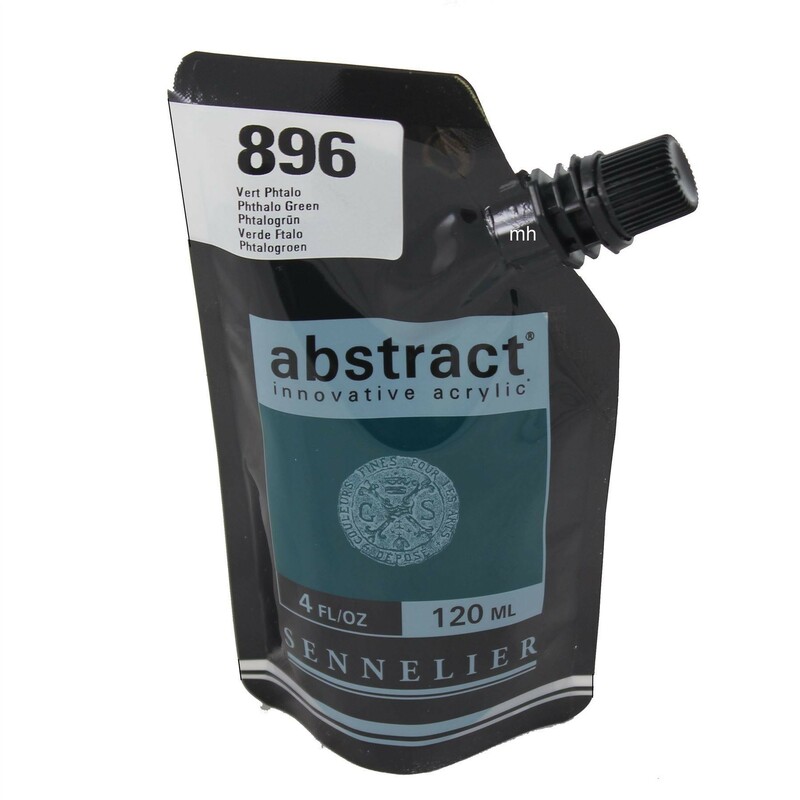 The pouch is strong so you can take it with you wherever you go and unlike tubes, it will not leak even if accidentally stepped on. Paint is better preserved because air cannot get into the pouch and you can use the paint completely: there is no waste and no air bubbles which may cause the paint to spill out.